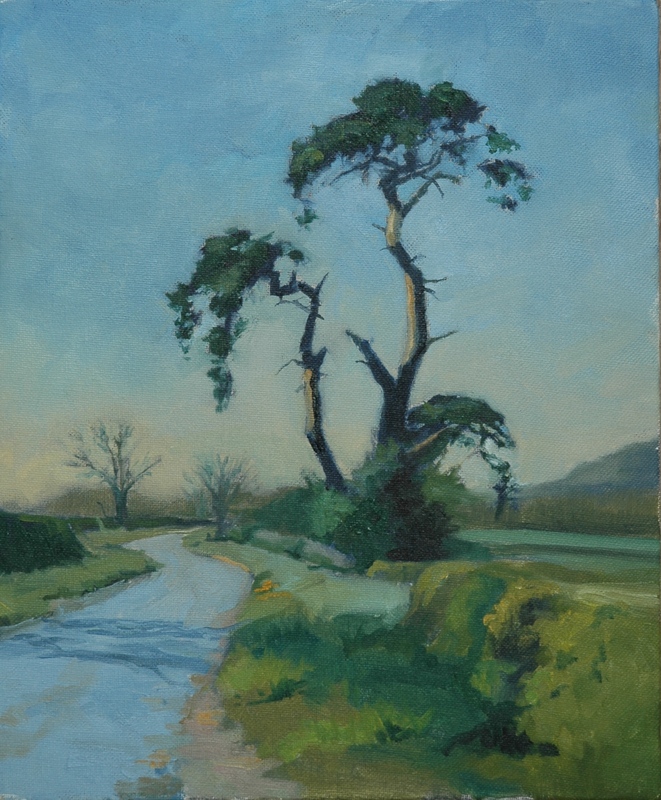 John Behm has a natural affinity for the landscape of Norfolk and the Scottish borders where he was occupied in the conception and execution of public sculptures. He has been unable to work for a while due to a near fatal accident but fortunately has fully recovered and has been making some beautiful paintings en plein air. 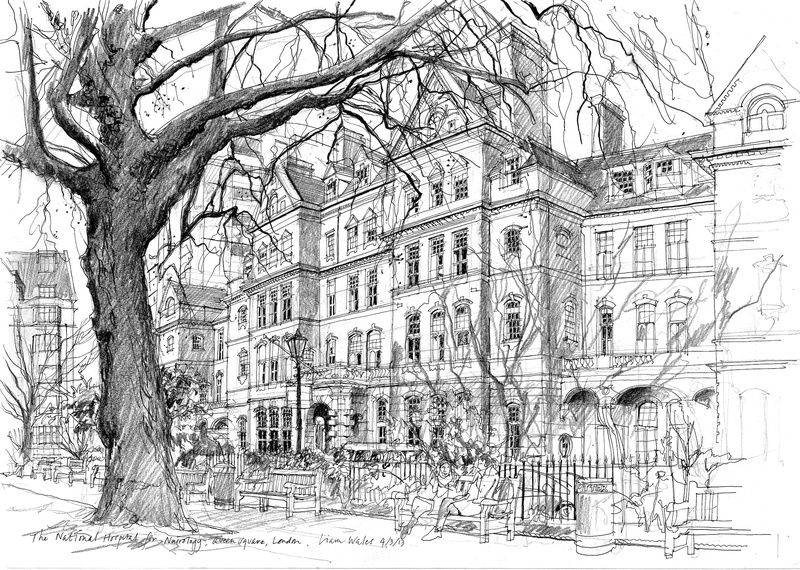 Timothy Betjeman moved to London from New York City eight years ago on a two year bursary to the Prince’s Drawing Schools. 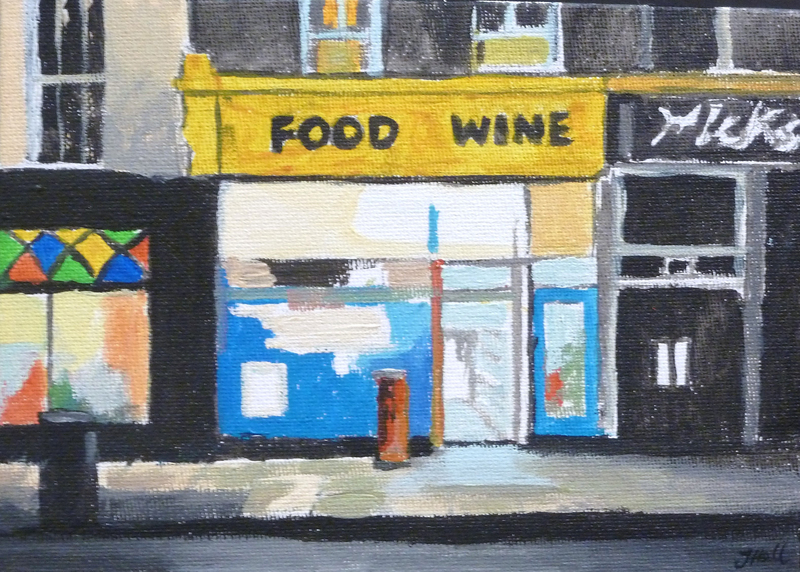 He paints en plein air the streets of South East London, where he lives, with broad oil paint brushstrokes giving his work a vital atmosphere. 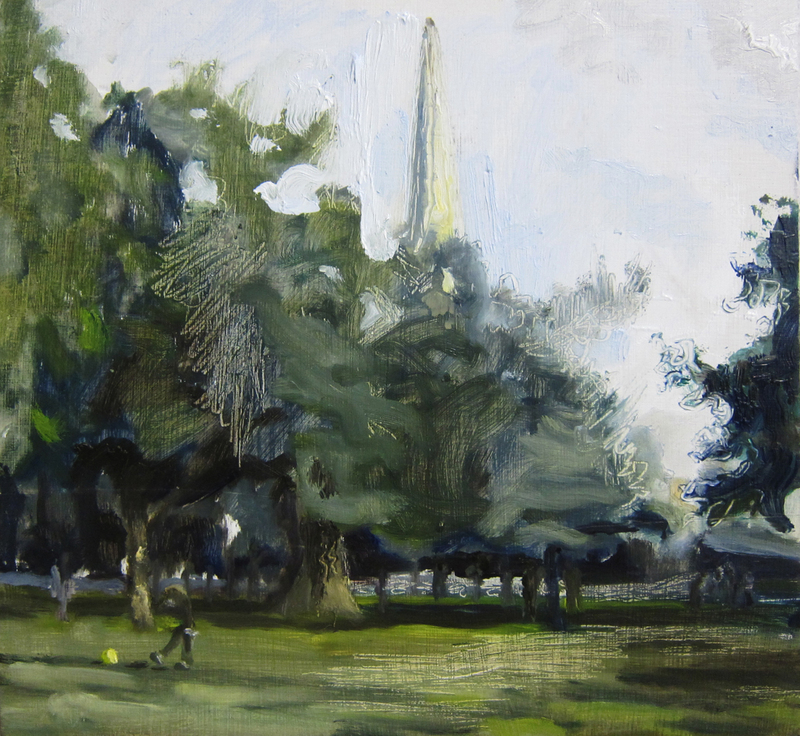 Patrick Boswell is steeped in the history of en plein air painting. His family were dealers and framers for Norwich School masters John Sell Cotman and John Crome, and later, Alfred Munnings. 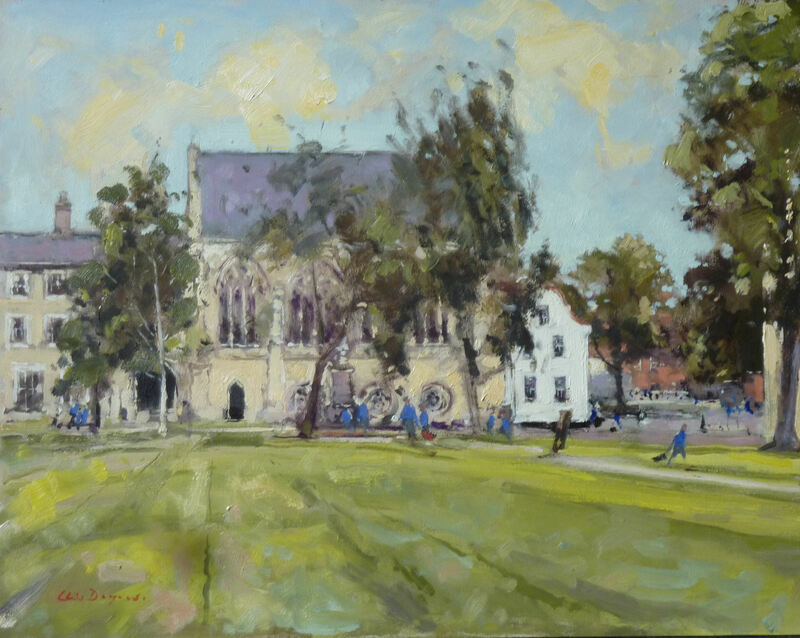 Patrick is inspired by the work of Edward Seago and is the published author of Boswell’s Norwich. Roy Connelly, a founder member of the Plein Air Brotherhood, says he is just as happy with his easel and box of oil paints on a deserted beach as he is at noisy and busy Trafalgar Square in London. 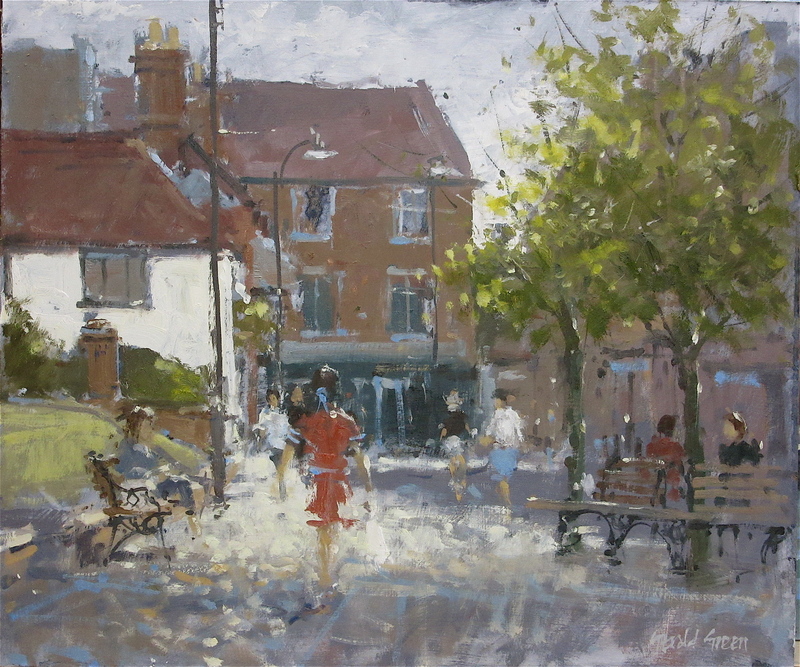 His home turf is the area in Suffolk close to where Gainsborough and Constable lived and worked. 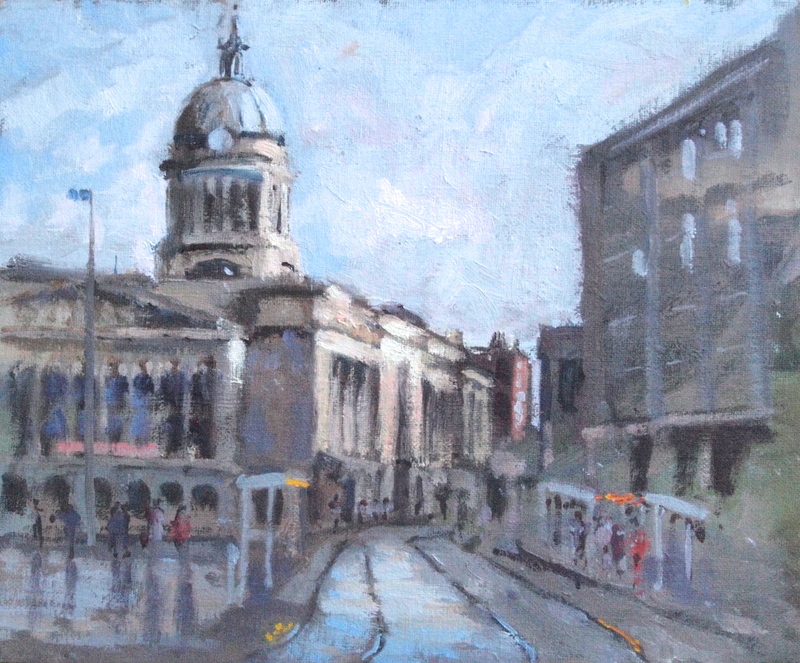 Chris Daynes is a seasoned en plein air painter who works all over England in all weathers, “always a challenging and sometimes uncomfortable experience, very social and never dull”, he says. 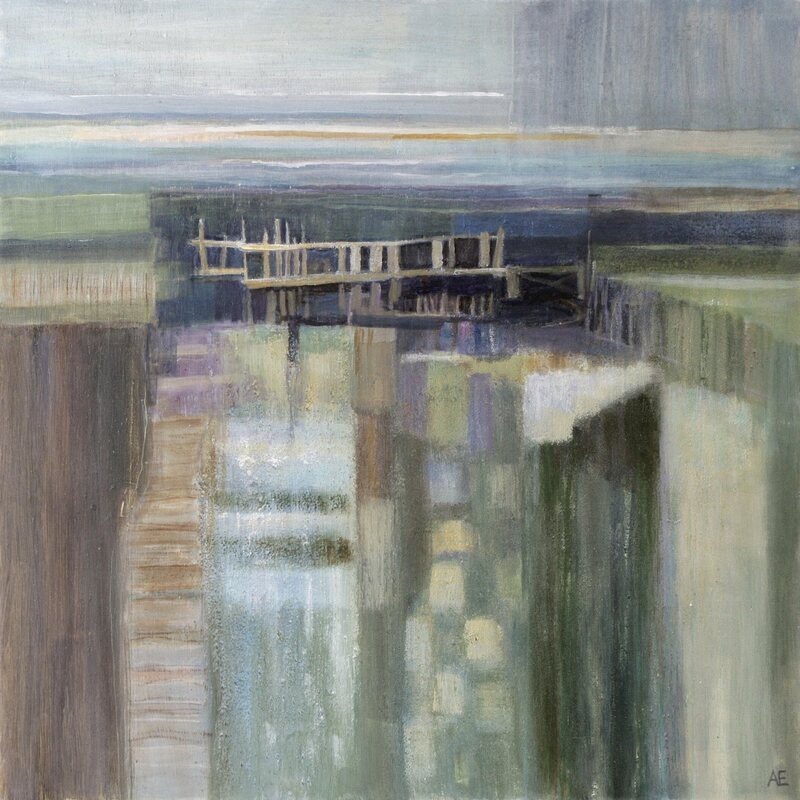 Anthea Eames says that the real challenge in her painting is not simply to record what is in front of her but to reveal the story beneath the surface, giving a true sense of place. She uses natural earth pigments, ochres, sand, chalk, plants, or whatever she finds, and mixes them with a variety of resins to achieve the desired effect. 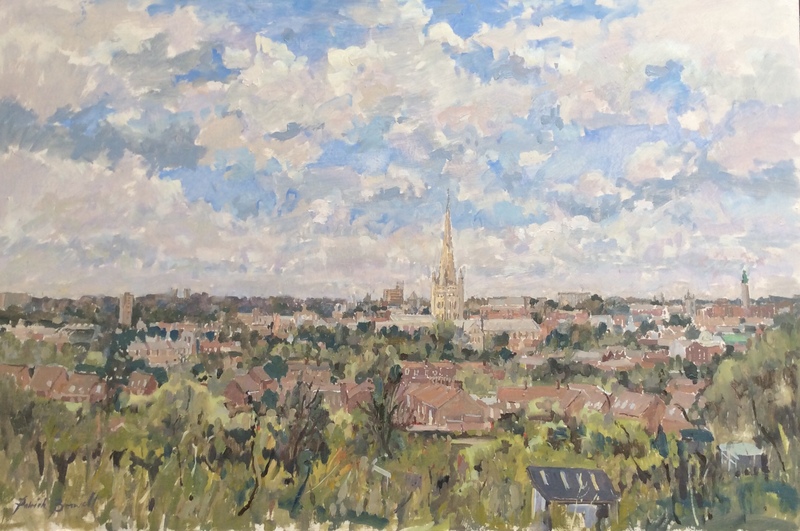 Katie Falcon is a part of Group Eight, a Norfolk painting group, who set up their easels in a variety of locations to capture what they call “intense natural loveliness”. 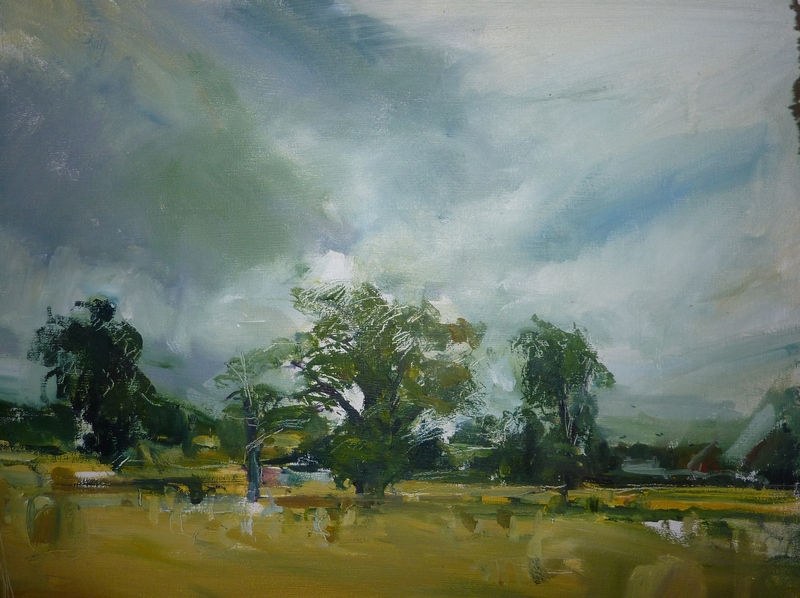 Katie can be found painting outside in all weathers and at all times of year, capturing the changing seasons. 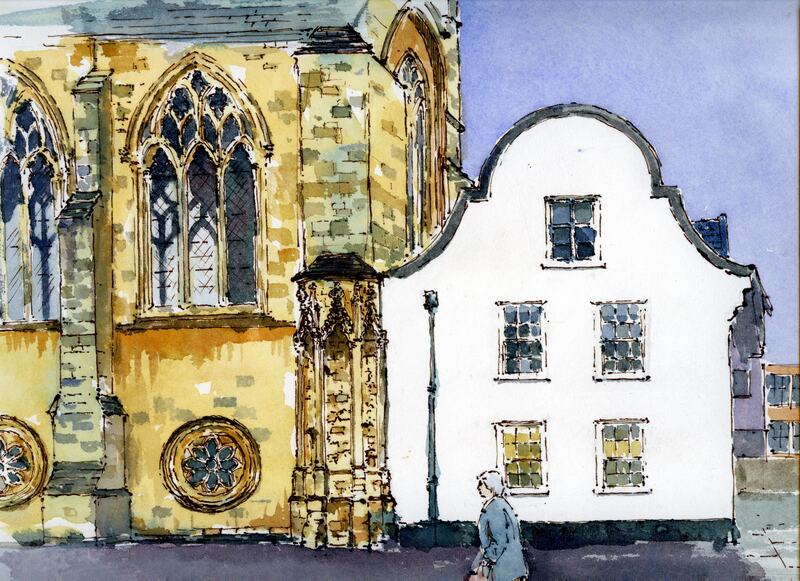 She has spent many years drawing and painting all around Norwich particularly inside and outside the cathedral. Cornelia Fitzroy is also part of the Norfolk painting group, Group Eight, formed “primarily with a single intention to energise and progress Life Drawing practice” it has since then “gathered pace to emerge as an identifiable collective of independent, multi-disciplinary, Norfolk-based artists, who regularly exhibit their work at different venues in London and East Anglia.” Cornelia says she becomes totally immersed in the moment and responds powerfully to changing weather, light, colours, and pattern. 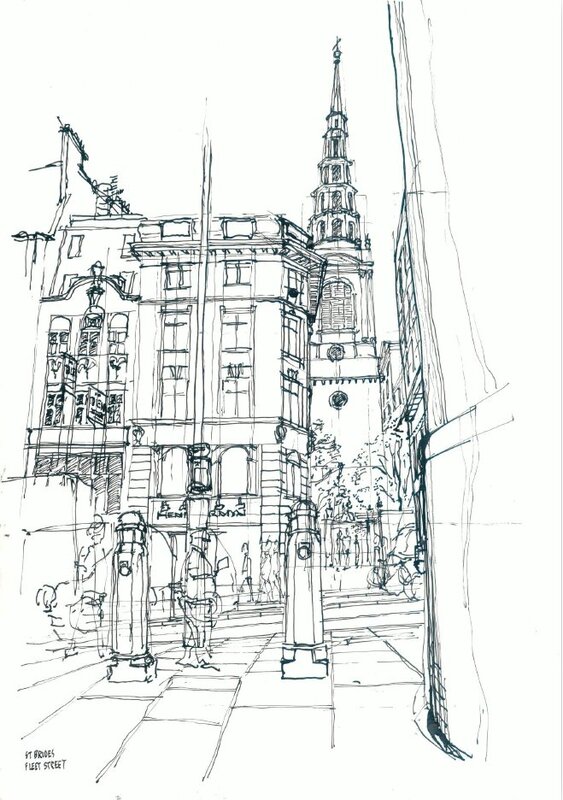 Mark Greenwood has set out to draw all 28 of Christopher Wren’s still standing London churches in their 21st century surroundings. 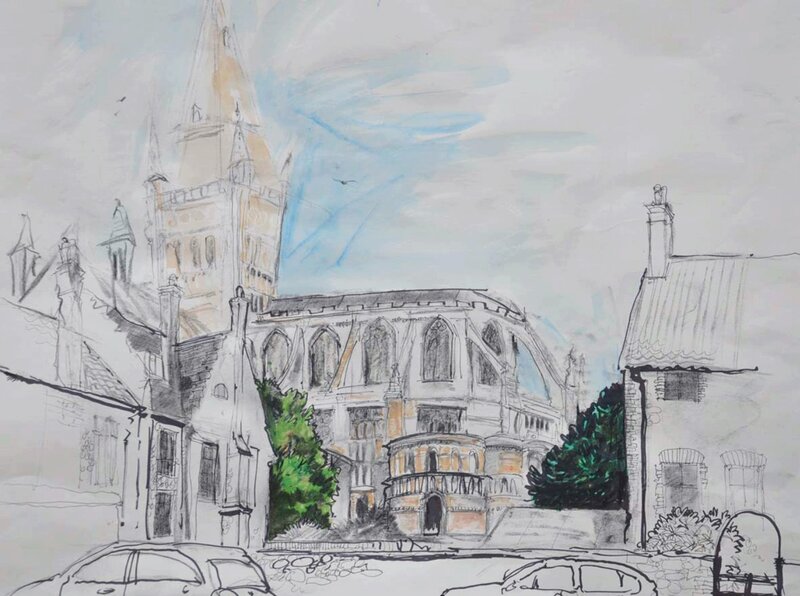 “I love the power of Wren’s architecture set against fluid transient street life.” His mission, which he also hopes to fulfill in Norwich, is to capture the energy of the churches alongside the energy of the city. 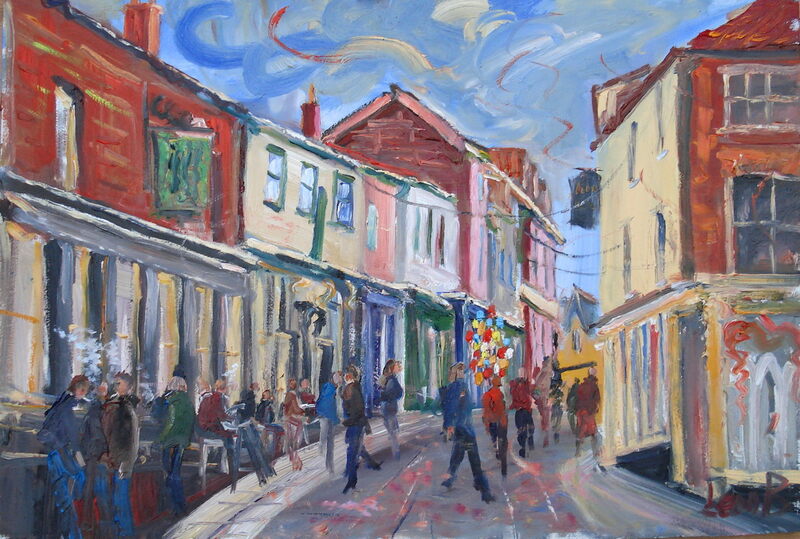 Jane Hall likes to show buildings and modern life going on around them. 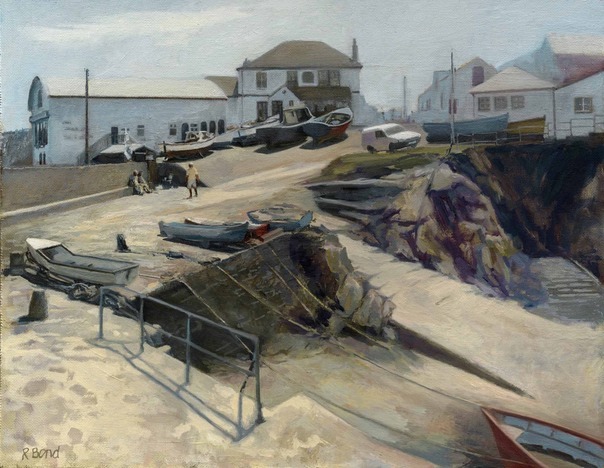 She particularly likes seaside resorts and all their signs and advertising posters. 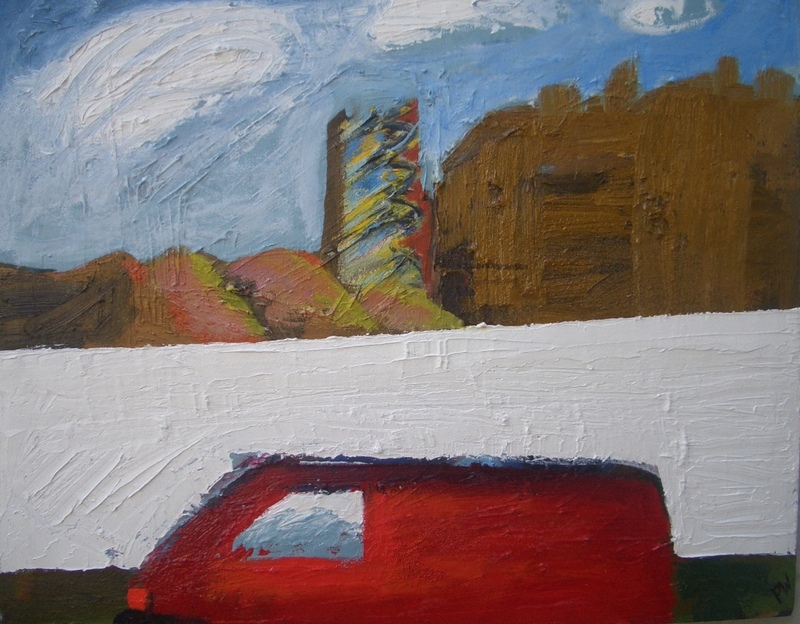 Her postcard sized work, she says, is influenced by American Realism and Pop Art. 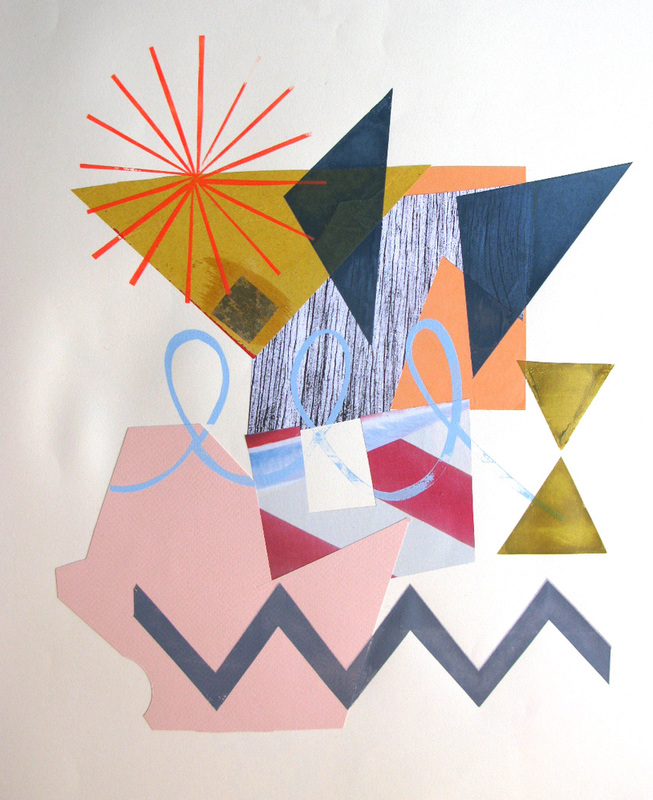 Francesca Heathorn graduated from Norwich Art School with a Masters Degree in Digital Art and now works in television. 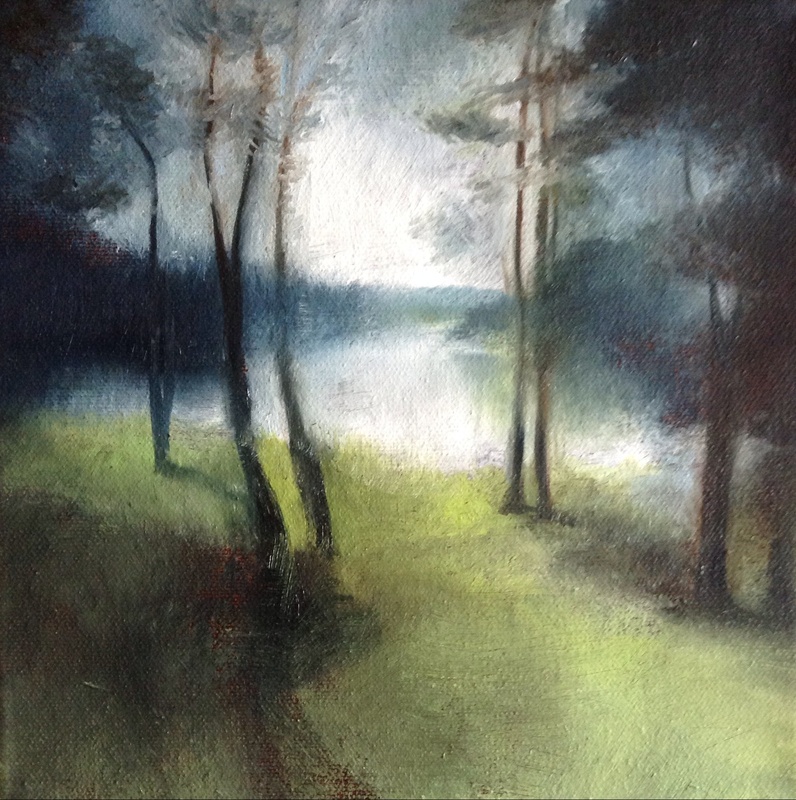 She keeps up her oil painting skills by working on location and is currently working on a series exploring the interplay of light, trees, and water. 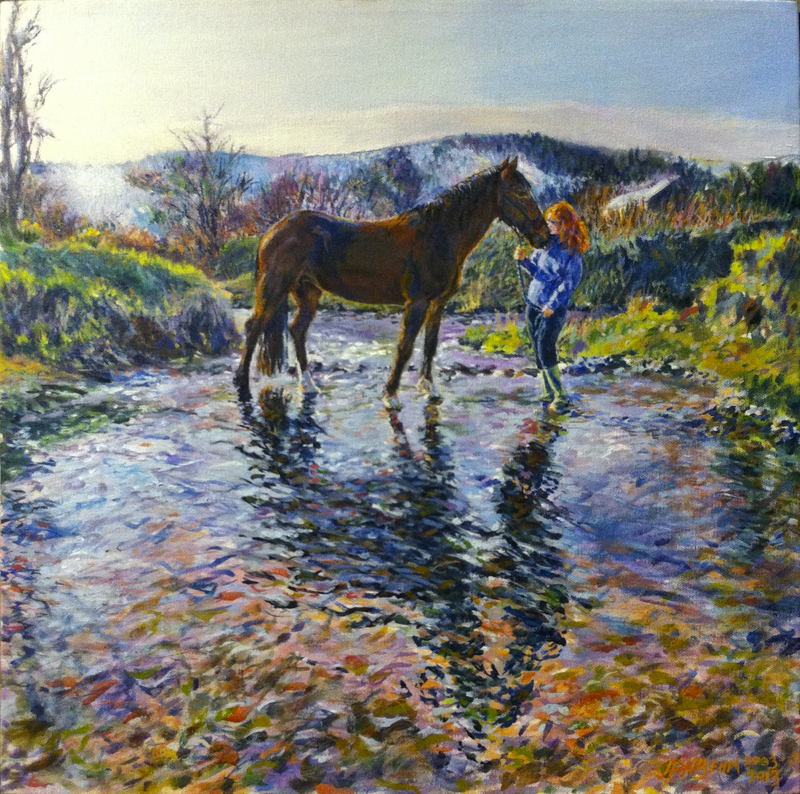 Mary Kallagher’s work in oils and watercolours is in a representational style. 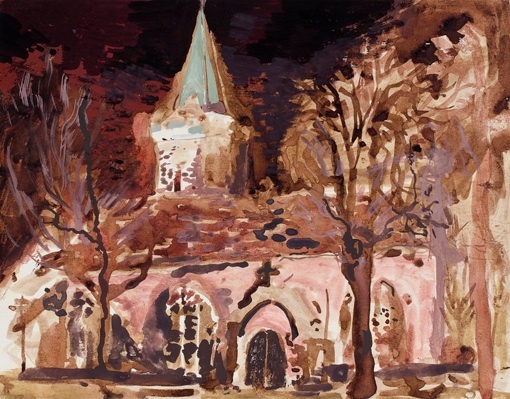 She enjoys “plein air painting when the weather allows” and can be found all over Norfolk filling her sketch book with fine pen and wash.
Dan Llywelyn Hall, who was born in Wales, is a highly regarded en plein air painter in the Romantic tradition of Samuel Palmer, John Piper and Graham Sutherland. “His work is part of that visionary lineage of painters, for whom landscape became an embodiment of human feeling and thought”, writes Rachel Campbell Johnston, Art Critic of The Times. 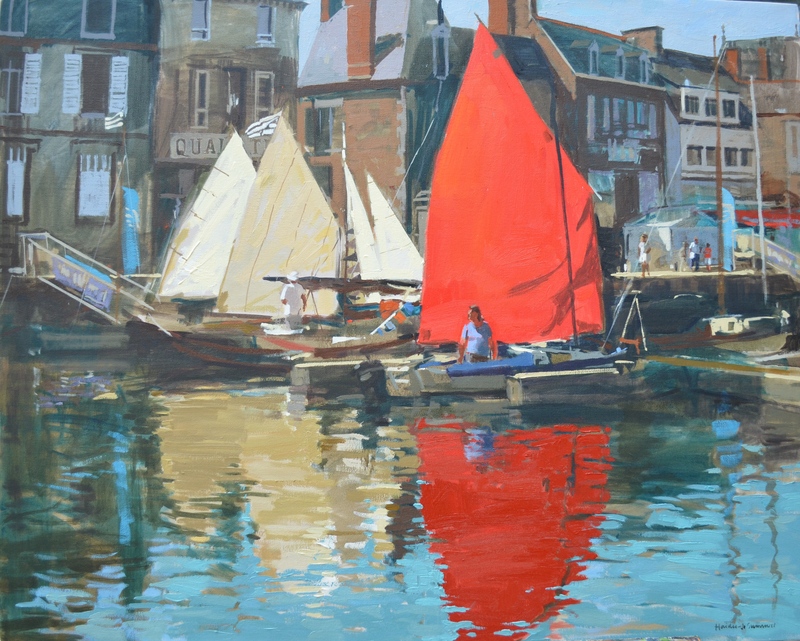 Chloe Mandy is well practiced at creating a beautiful painting in a day having appeared on the TV programme Coastal Britain where she had to work near to her home in North Norfolk, while the cameras rolled. 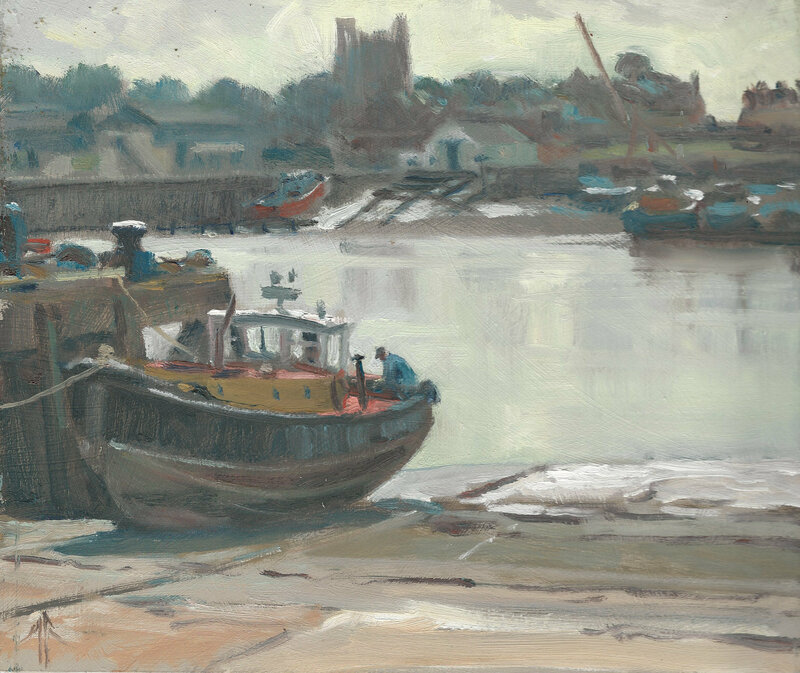 Stephen Martyn, an accomplished watercolourist, moved from London to Norfolk, nearly thirty years ago, inspired by the dramatic skies and wide open spaces. He is a keen hiker and whatever city he is in he goes exploring with a sketchbook. Elizabeth Monahan studied Natural History Illustration and has worked as a children’s illustrator for twenty years. 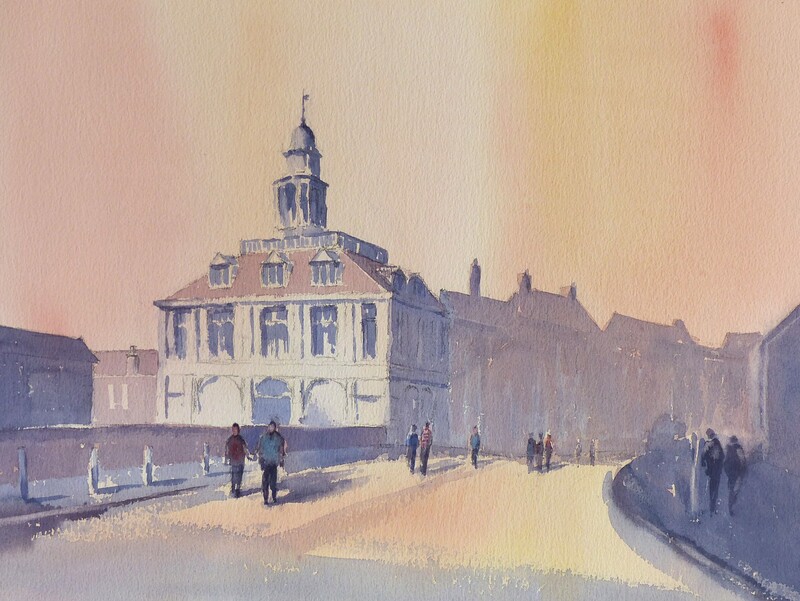 Recently relocated to Norwich, she has discovered the joys of drawing from life and always carries her watercolours, charcoal, and ink, when she is out and about in the city. Simon Page says the starting point of his work is close proximity, and, direct and careful observation. For him a drawing is an adventure. He loves the excitement of starting a new drawing as a journey with no clear destination that only becomes clear as the work progresses. 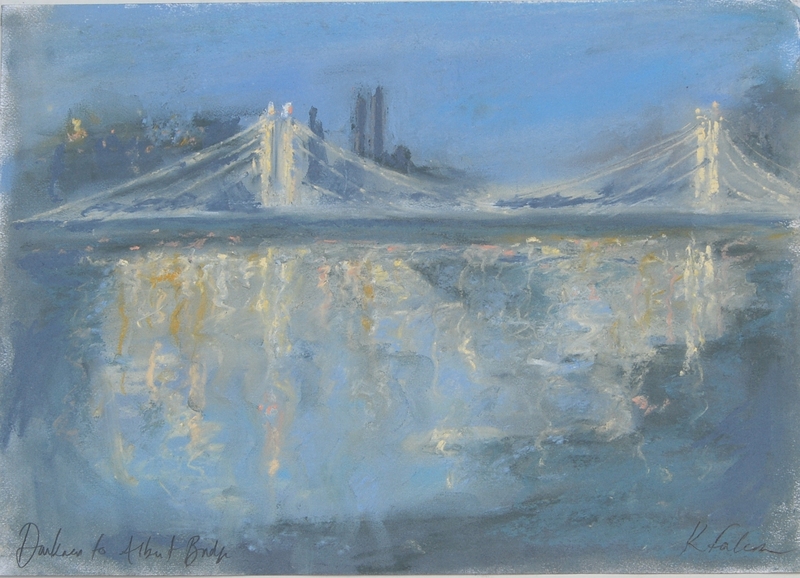 Janet Poole, although trained as a graphic designer, is now primarily an en plein air painter. Colour and simplicity are the guiding principles her work whether it be in the French Alps or the Yorkshire Moors .Her impressionistic work is executed sometimes in pastels, watercolour and acrylic but recently she has chosen oil for her small paintings. 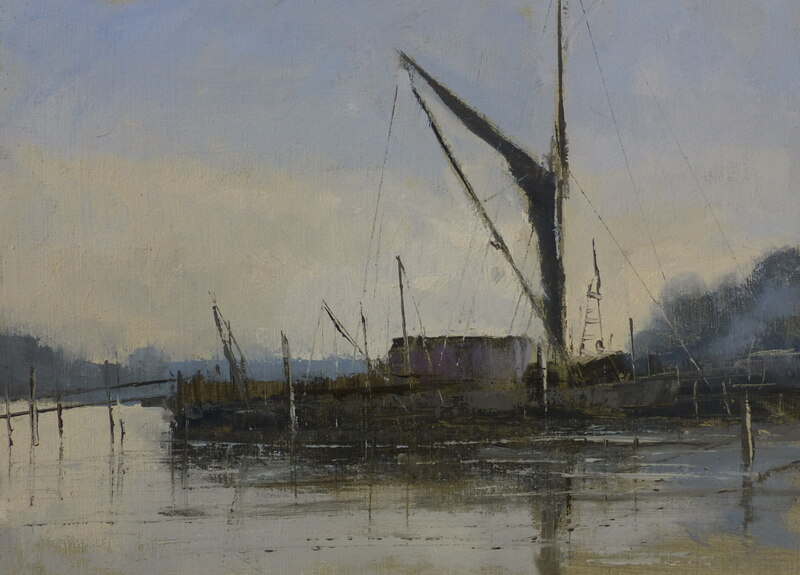 Michael P Richardson was a wartime evacuee to Ipswich and is a member of the Plein Air Painting Society, The Wapping Group of Artists, and shows in the Royal Academy Summer Exhibition. 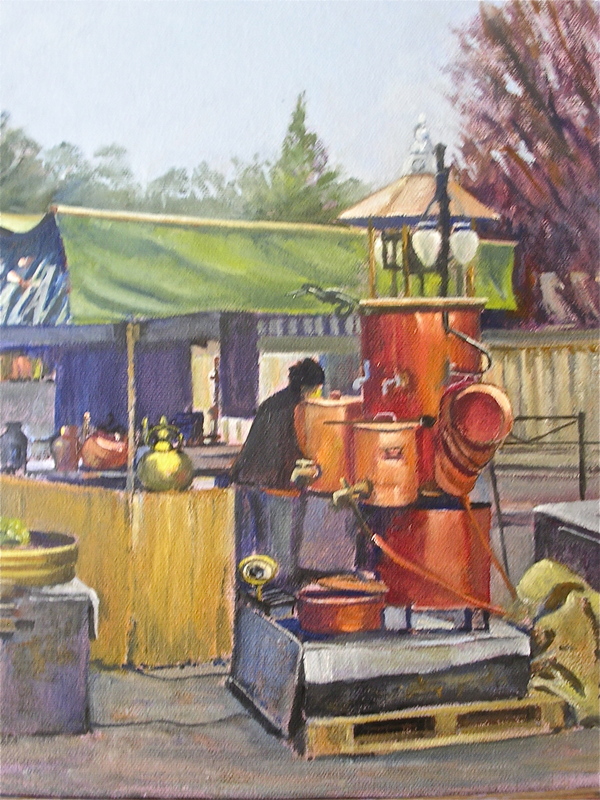 He paints outside almost every day in the Impressionist style for collectors worldwide. 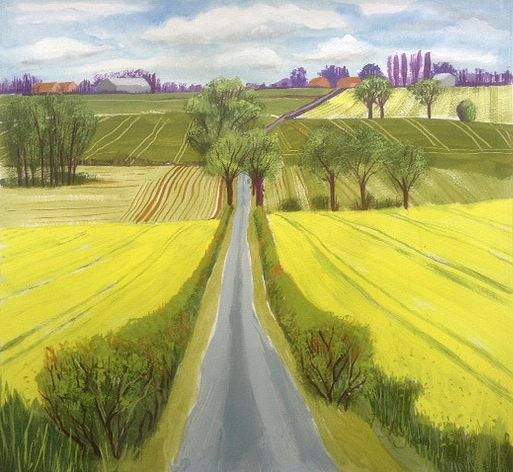 Mo Teeuw is a member of the Institute of East Anglian Artists and loves en plein air painting and actively encourages all her artist friends to join her outside. She likes to paint every day and claimed in January 2014, one of the wettest winters on record, that she only spent four days in the studio. 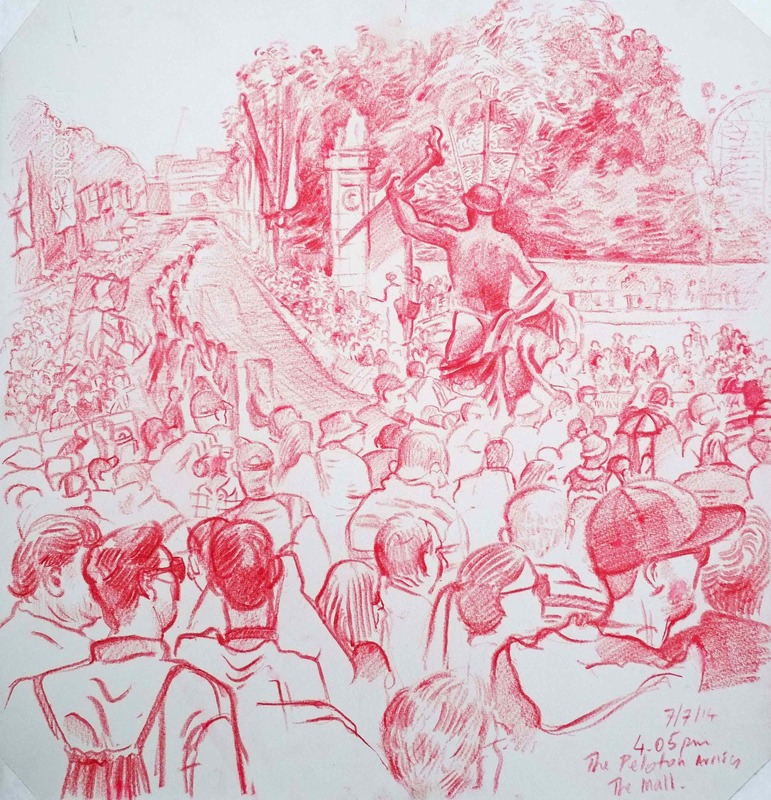 Philip Wilkinson loves drawing on the spot. “The materials are used quite freely, a daub of paint here, a scratch of ink there which contributes in its own way to the atmosphere and spontaneity of the piece”, he says. He finds equal inspiration in the coastline, the mountains and the city.